We're into week two of my two-week celebration of The Guns of Retribution, all in aid of its first birthday, and I thought I'd post a quick recap of what I've posted, and where, so far. 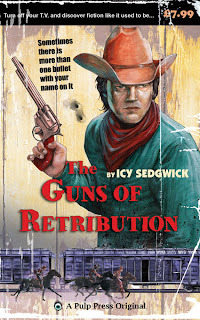 On 10 September, I popped over to Psycho Noir to discuss the pulp genre, and how it relates to The Guns of Retribution. Pulp is a fascinating, and often maligned, type of fiction, and I'm hoping that more people will take a chance on stories that just want to entertain. After all, getting people reading and escaping their mundane existence is what got me writing in the first place. On 12 September, I stopped by Carrie Clevenger's blog to discuss the challenge of writing a Western. Obviously the Western has the same sorts of research issues that any form of historical fiction involves, but the Western comes equipped with far bigger problems pertaining to mythos and cultural heritage, and I tried to talk about them in a fairly eloquent manner! On 13 September, I stopped by at Matt Pizzolato's blog to discuss the appeal of the Western, particularly to those outside of the US (such as yours truly). Hopefully it'll answer a question I'm often asked - i.e. 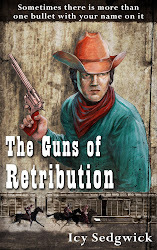 why did I write a Western in the first place? 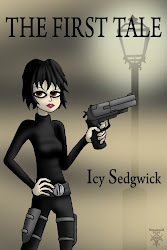 Today, I'm over at Nerine Dorman's blog to talk about the evolution of characters - specifically Grey O'Donnell. Did you know he started out life as an outlaw? In case you've missed things here at the Blunt Pencil, I interviewed UK-based country singer Tony Bengtsson on Wednesday, and posted a Grey O'Donnell themed Friday Flash, named The Bounty, which tells the story of how Grey got into bounty hunting in the first place. 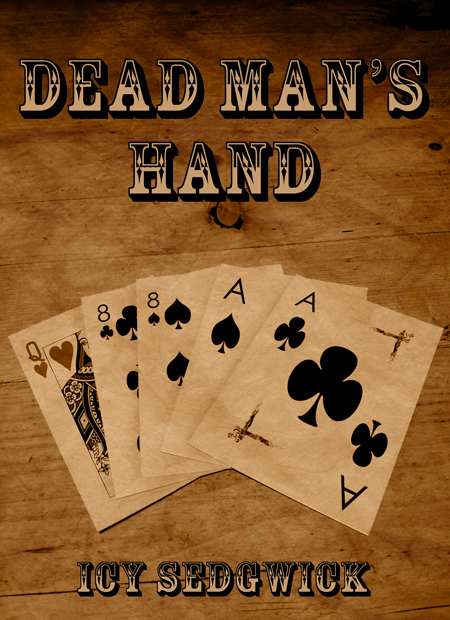 My three-part collection, Dead Man's Hand, has come to the end of its free run on Amazon - you can still pick it up for $1.23 or 77p, or you can download it FREE as a mobi, epub or PDF file from my website until Monday 24 September.